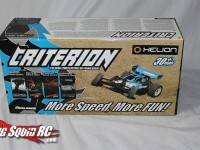 RC Buggy « Big Squid RC – RC Car and Truck News, Reviews, Videos, and More! You are browsing the "RC Buggy" tag archive. We just caught word of the new ARRMA ADX-10 race buggy. It has steel gears, an oil filled diff, dBoots tires, slipper clutch, and everything else you’ll need to hit the track. It comes RTR and pretty much waterproof as well. Check out the video:Want to see what we thought of the ARRMA Raider? Check our Review Here.